He’s back! It’s always great to chat with one of my very favorite comics writers, Michael Alan Nelson, who’s creating Hexed and Day Men for BOOM! Studios! We discuss both of those comics, including Hexed’s history and how he became involved with Day Men. We also discuss a favorite subject of mine, women characters in comics, as well as the characters in each of the books he’s currently working on! I’m sure you’ll enjoy what he has to say, so don’t miss it! Next week, I’ll have another great interview with another terrific comics creator, so be sure to listen in! It’s the 84th episode of the Wayne’s Comics podcast, and it features the return of Michael Alan Nelson, one of my favorite comics creators! He’s got a lot of projects coming you should know about, including Supergirl for DC and The Orphans for BOOM! Studios. He also talks about a comic I already miss, Valen the Outcast, so be sure to listen in to this fun conversation! Then everything wraps up with Gianluca Glazer discussing the latest ‘News & Previews’ with me!’ Don’t miss it! In this special episode I interview a plethora of talent from Wondercon 2012 in Anaheim! Interviews include Anthony Del Col, Tom Pinchuk, Brian Apodaca, Benny Jordan, Gerimi Burleigh, Michael Alan Nelson, Gabriel Hardman, Shane Houghton, Chris Houghton, Kenny Keil, Sal Abbinanti, and Bill Sienkiewicz. Happy Father’s Day! Pick Of The Week goes to Rob Williams, Matteo Buffagni & Riley Rossmo for Daken: Dark Wolverine #10 (Marvel)! Fast Five picks include 28 Days Later #24 (BOOM! Studios), Invincible #80 (Image), Cinderella: Fables Are Forever #5 (Vertigo), Batgirl #22 (DC), and Darkwing Duck #13 (Kaboom!). This episode has been brought to you by THE SQUEEG! Another week, another Fast Five. Picks include Super Dinosaur: Origin Special #1 (Image), Uncanny X-Force #10 (Marvel), 28 Days Later #23 (BOOM! Studios), Batman: Gates of Gotham #1 (DC), and Science Dog Special #2 (Image). This episode has been brought to you by, VALKYRIE SQUADRON! 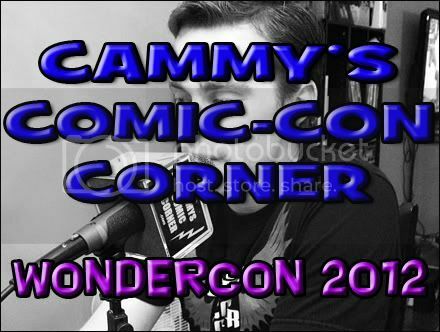 I interview at WonderCon 2011; Amy Reeder, Christos Gage, David Server & Jackson Lanzing, Fawn Lau, Gerimi Burleigh, Hope Larson, Jason Aaron, Michael Alan Nelson, Nate Simpson, and Sal Abbinanti. Click here to see the interviews! Action-packed week for comics! Pick Of The Week goes to Mike Costa, Christos Gage, Chee, and Antonio Fuso for G.I. JOE: COBRA #13 (IDW). Fast Five picks include Brightest Day #20 (DC), Darkwing Duck #9 (BOOM! Studios), Thunderbolts #153 (Marvel), Green Lantern Corps #57 (DC), and 28 Days Later #20 (BOOM! Studios).